Metropolis is an elegant WordPress theme with a classy design and a fully responsive layout. 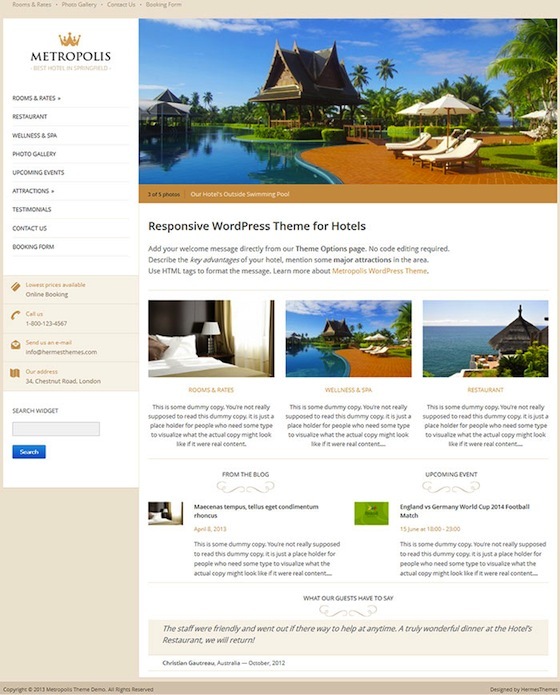 With easy customization options and a friendly layout, this theme is a great option for any hotel website. Features include testimonials, room features, rooms and rates, hotel photo gallery, nearby attractions, online booking form, social media integrated, contact form and more.